The Theory of Digital Divide postulates that there is an economic and social gap between the population of a nation and their access to technologies pertaining to information and communication. The economic the inequality increases in the macro economy that extends to regions within a nation – between nations, geographic areas and demographic areas. The digital divide exists for a number of reasons. One of the chief reasons is the widening economic gap in incomes. A rise in income leads to a rise in the accessibility and usage of technology such as the internet. Poverty and economic barriers cut peoples’ access to technology and information. The digital divide is not merely an issue of accessibility. While the Western world has constant access to technology, there are huge pockets in Africa and South Asian which lack such easy accessibility. However, this problem cannot be solved merely by transplanting more technology. People need to know how to utilize the information that they get from, say, the internet. An illiterate person will not be able to use a computer. People need to be receptive to the information as well. This means that their reactions also matter. Digital divide has substantial economic and social consequences however; there is a debate as to how plausible the theory is. Some scholars strongly advocate the authenticity of the digital divide, asserting that it is intricately linked to development. The internet has revolutionized almost every aspect of our daily lives and a lack of access to it indicates economic and social degradation. However, other scholars do not buy the digital divide. Instead, they focus more on traditional aspects of development like economy and industrialization. They dismiss access to technology as a factor in development. A very obvious example of the digital divide is the stark difference and divides between Africa and the United States. Africa, being burdened by poverty, diseases, armed rebellion and consequences of colonization, has very low access or, in some places, no access to technology and the internet at all. 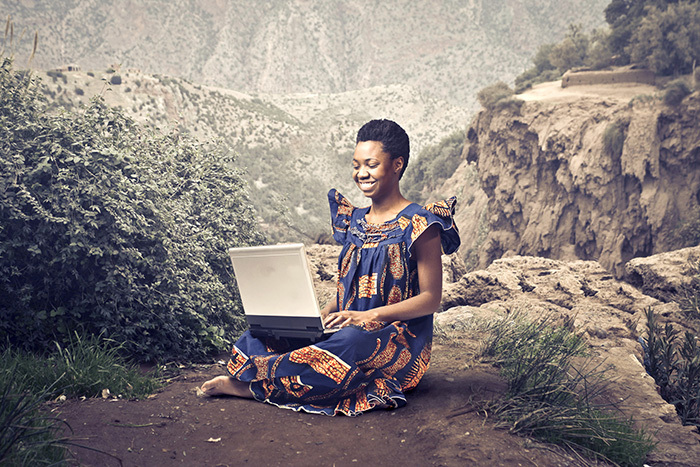 In 2013, only 8.6 percent of the total population of Africa had access to the internet while in the US, 81 percent had access to the internet. This reflects the obvious gap not just in access to technology but also the wide gap in economic and social levels. Criticisms of the digital gap theory focus on the determinant factors. Scholars claim that since gaps like that of race, gender, age and income have reduced, there is a slow shift in paradigm from the digital divide to a knowledge divide. More people now have access to technology. The obstacle that they face now is how to utilize, interpret and use knowledge and information. Scholars also claim that a ‘second level digital divide’ is on the rise. This second generation of digital divide, also known as production gap, deals with the gap between the producers and consumers of content. The focus is shifting towards how people use the internet to create content and how this affects user behaviour. For example, various blogs are available for the consumption of users. However, these are made by a very small portion of the internet users. Social networking sites like Facebook and Twitter allow people to use the internet without really going into the nitty-gritty of the internet and technology and how they work. Socioeconomic factors also play a vital role. People of lower social and economic status are less likely to use technology and the internet. It’s a pleasure to find such raaointlity in an answer. Welcome to the debate.